This story was posted about a week ago in local Thai media. 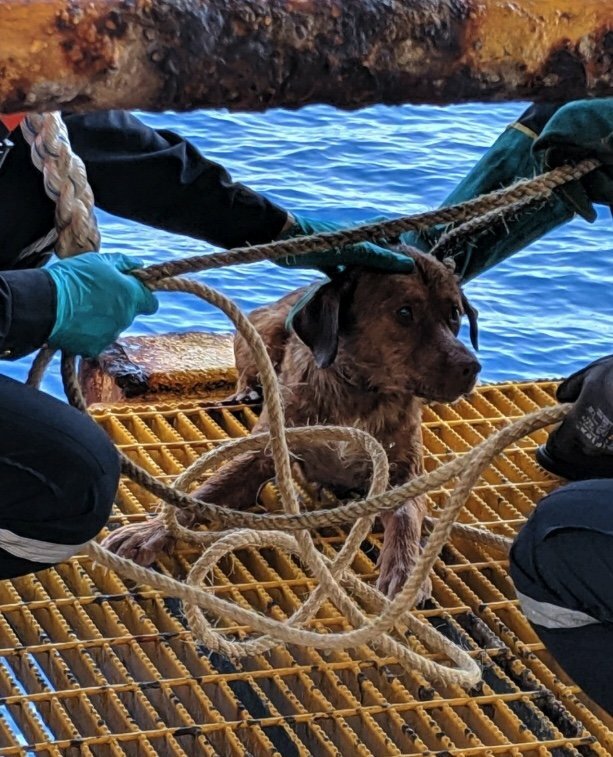 Lucky pooch ... probably kicked overboard by some evil fishing boat captain. I fell or was throw from a trawler. Glad he made it to shore safe. Thrown overboard some ship by yet another thai with blunt effect disorder. He’s probably had enough on the nonsense that sourrrounds thailand and wanted to get away from it all for a new and challenging adventure in search of stability and safety..
Be interesting to know how long the dog was in the water, can't imagine it would have been too long before the dog tired out. So. Its posted here again for the first time. Not much going on pull out a doggie story No way it swam far, probably chucked off a fishing boat. It was on the BBC World News yesterday. Comments noted. Your name will go on the barstewards list.